LASIK eye surgery is considered to be such a painless procedure when compared to surface procedures such as photorefractive keratectomy (PRK). After uncomplicated LASIK, the majority of patients have minimal to no pain, burning and tearing for the first 2 -3 hours, slight foreign body sensation, light sensitivity, and discomfort. These symptoms are more common after LASIK enhancements that require flap lifting, as compared to primary LASIK treatments. Despite the high efficacy, safety, and fast epithelial healing in LASIK, some patients still complain of disabling pain during the early period (24-48 hours) after LASIK. Rarely, the pain can also result in involuntary spasm of the eyelids which may cause flap dislodgment. It is possible that anxiety may play a role in lowering the pain threshold. Irritation of the eyelid structures and the eye surface due to the pressure exerted by the speculum (eyelid holder) and suction ring may be the source of both eyes pain and orbital discomfort experienced by the patients during and after LASIK surgery. You should know that it is normal to feel pressure from the speculum and suction ring as the eyelid structures cannot be adequately anesthetized during the procedure with topical anesthetics. You should expect mild discomfort that should resolve within a few to several hours. 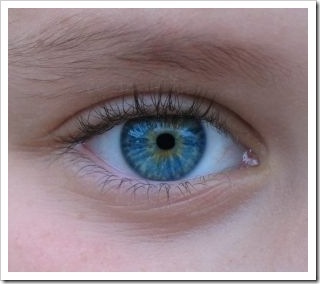 Also you should know that the two eyes may have different amount of discomfort. If you experienced severe pain associated with generous tearing, you must contact your doctor immediately. Severe or persistent pain after LASIK may indicates flap dislocation, significant epithelial disruption, or even total loss of the flap. 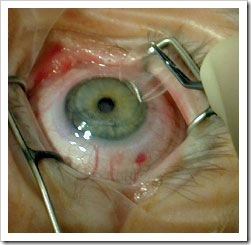 Your doctor will examine your eyes at the slit-lamp to ensure that the flap is intact and determine the cause of pain. The Management will vary depending on the underlying cause. In general, generous use of artificial tears eye drops is helpful. Narcotic analgesics are not necessary after LASIK eye surgery, though sedatives or Non-Narcotic pain medications may be recommended by your doctor if you cannot tolerate the pain.